If you follow movie news, then you may have heard of the troubles not so long ago of Warner Brothers' proposed live action Akira. The troubled production has run into roadblock after roadblock, with each and every announcement provoking ire from disgruntled fans. Changes to the original, such as relocating to America, not to mention proposed casting with the likes of Twilight's Kristen Stewart and Forty-something Keanu Reeves (as a character originally in his teens) were not exactly well received. 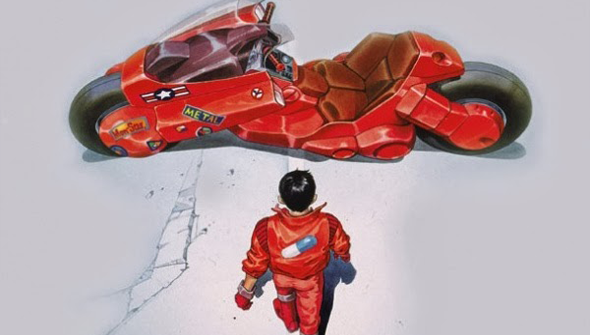 The reason for all this upset (and also the reason Warner want to make it) is that Akira is a much loved film and a landmark not only in animation but in science-fiction cinema as a whole. Not so long-ago ask anyone who considered themselves a fan of anime (Japanese animation) if they had seen Akira, and it would almost been guaranteed that they would have. Yet today in the fast moving anime scene, this is no longer the case. The film is based on the massive, sprawlingly epic manga ( Japanese comic-book,) saga that would eventually run to 6 phone book sized volumes. When the movie was released in Japan in 1988 the manga was still ongoing and would not conclude until 1990, meaning that the story had not yet revealed it's ending. As is happened though the film director and manga author were one and the same, and he already had an ending in mind. The film opens with the destruction of Tokyo during World War III, before jumping forward to 2019 when the re-christened Neo-Tokyo has emerged from the ashes. It presents one of the most iconic sci-fi worlds ever committed to film, a blend of urban decay and Blade Runner style neon futurescapes, where teenage gangs and crazy cults run wild. It follows a band of Juvenile delinquents, focussing on biker Kaneda and his downtrodden childhood friend Tetsuo. During what seems like a pretty standard night of rioting and public unrest in such a dystopia, Tetsuo is injured when he (literally) runs into a mysterious child with strange powers, and the gang's life will never be the same. 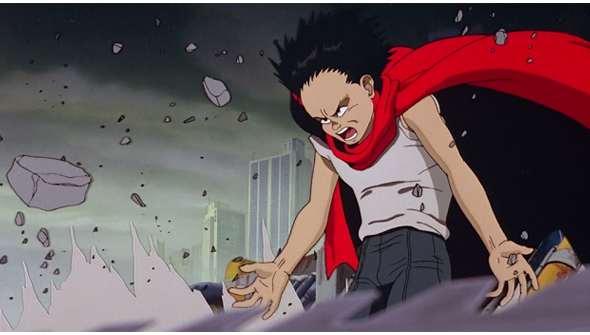 The encounter leads to Tetsuo himself developing powers of his own, while Kaneda gets caught up with a gang or revolutionaries. When Tetsuo's telekinetic abilities get beyond his control, the old friends must face off in a final confrontation, the consequences of which could be much more devastating than either of them realise. Akira is considered a classic for a reason. From the stunningly exciting bike chase, to the mind-blowing and bizarre finale (and an ending that virtually no-one seems to understand) it's full of memorable moments that stick with you long after the credits have rolled. 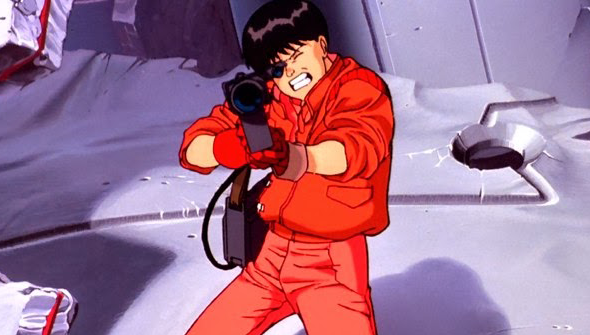 For many, Akira was an introduction to Japanese animation. Back when in was first released in the UK in the early 90's no-one had seen anything like it. It's no wonder it left people hungry for more and it's success lead to the establishment of the label Manga Video. The problem was that there wasn't anything else quite like Akira- and this remains the case today. For a film that created thousands of anime fans, it's interesting how unlike most of the medium it is. The visuals do an amazing job of bringing Otomo's stunningly detailed manga art to life, but they are a long way from what most westerners would think of as a 'typical' anime style. There's no Day-Glo hair and wide eyes, and the characters actually look Japanese. The animation has a slickness and fluidity that most anime (outside the work of Studio Ghibli) lacks. It comes from a time before digital animation was widespread, making the achievement all the more impressive. At the time of release it was the highest budget Japanese animated movie to date, and it certainly shows on screen. More than 20 years later it still looks great, and has rarely been equaled. The soundtrack also sets it apart, its use of traditional Japanese instruments really adds to the unique atmosphere. Inevitably, the compression of the long-running story into just over two hours, much from the source-material had to be jettisoned. As is almost always the case, the book may be better, but it remains an exemplary adaptation. Much of the original material may have been lost in the transition to screen, but thanks to it being directed by the original author, the spirit and feel of the manga is captured perfectly. The transfer to Blu-ray is near flawless, and this is the best looking version of Akira you will find. It also includes the classic in-depth making-of documentary Production Report, that featured in the original double-pack special edition double-pack VHS back in the day. Yet the definitive version of Akira remains elusive. The Blu lacks the extensive special features of the 2001 Region 1 special edition, and the original 90's English dub has been replaced with the more accurate (but somewhat less charming) naughties effort. Complicated rights issues may prevent us from ever seeing that ultimate edition, but in the meantime this will more than suffice. Whether you're a fan of anime, animation or just quality cinema, Akira is an undisputed classic that deserves a place in your collection.